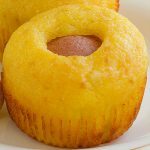 EASY CANDY CORN MADELEINE – Easy and delicious Halloween Candy Corn Madeleine is a quick and easy treat that you can make with the kids! This Easy Candy Corn Madeleine would be perfect for your Halloween party! I use delicious classic madeleine recipe and the madeleine turned out so great and yummy. 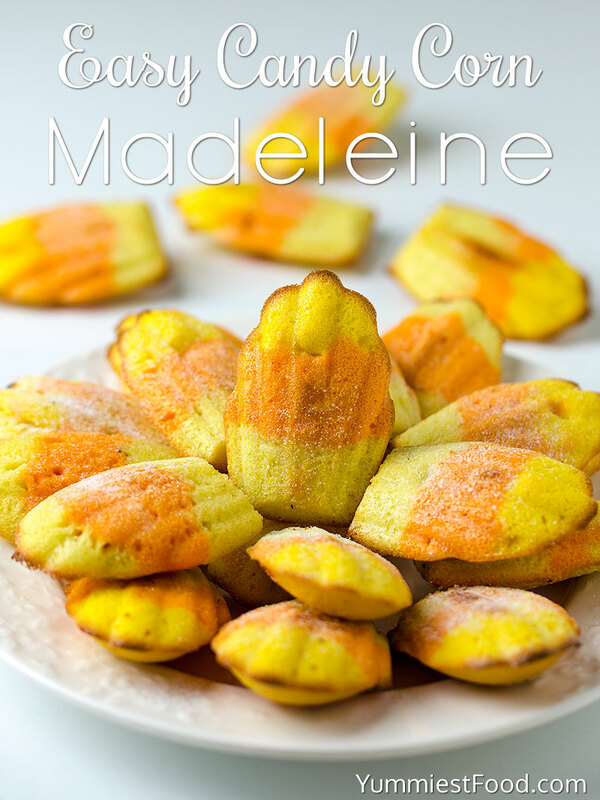 My kids absolutely love this Easy Candy Corn Madeleine. 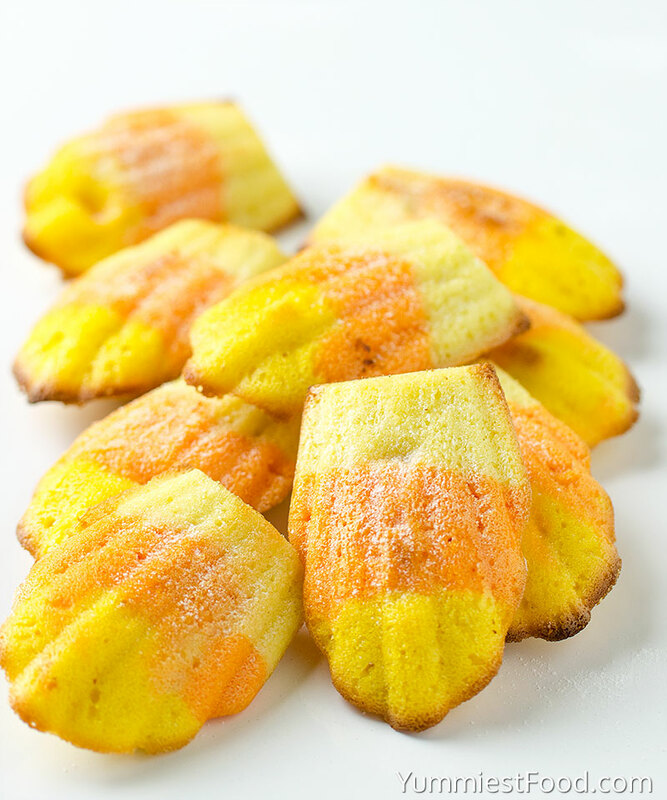 This Easy Candy Corn Madeleine would make a lovely addition to the Halloween or any holidays. You will need a Madeleine pan to make this. 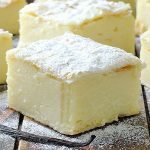 Madeleine is a small butter cake with the beautiful shell shape. Each Madeleine is firm with crunchy edges with the hump in the middle of the cake. The process is pretty easy. 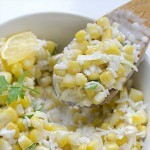 You start out by melting butter and setting it aside so it’s cool by the time you need to use it. Next, you beat eggs, vanilla extract and salt until frothy. Gradually add sugar while beating for 3-5 minutes, until mixture is thick (mixture will form ribbons when beaten is lifted). Fold in the flour and use a spatula to mix well, add lemon zest then pour melted butter over batter and gently stir and blend until combined. Divide the batter into 3 equal parts. Leave on a part the original madeleine batter. Add 2-3 drops of orange food coloring to the one part of the batter, mix well until the desired color. Add 2-3 drops of yellow food coloring to the remaining batter, mix well until the desired color. Pour each colored portion of batter into separate zip lock baggie. Fill colors into 3 sections in the madeleine pan (don’t spread it) and bake about 10-12 minutes until puffed and light brown. This recipe is for basic Madeleine. Everyone loves a rich buttery madeleine with a texture of the cookie and a cake. This Easy Candy Corn Madeleine is so great gift for the Halloween! This is the perfect treat if you need something totally last minute for holidays. 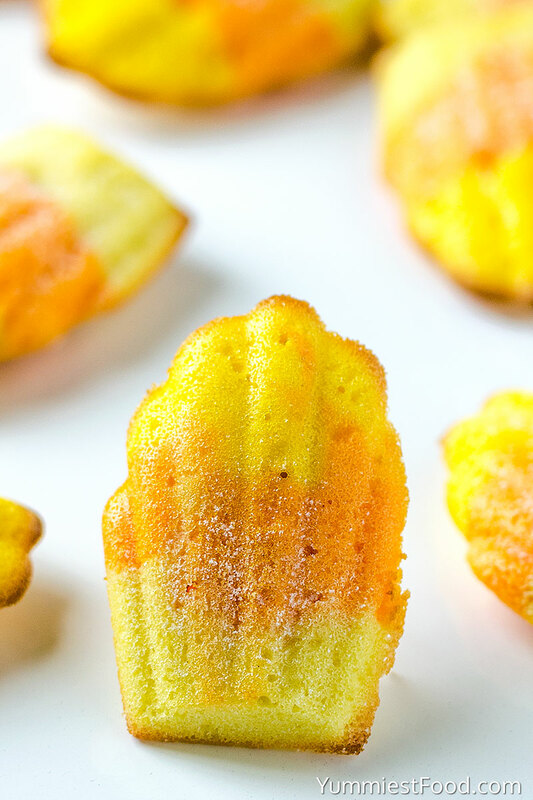 Easy Candy Corn Madeleine is the cutest treat for fall! Enjoy!